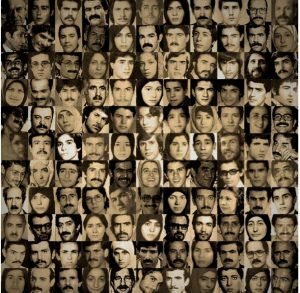 6 December 2018- Amnesty International’s new report, “Blood-soaked secrets: Why Iran’s 1988 Prison Massacres are ongoing crimes against humanity,” explains how the many human rights violations perpetrated by the Islamic Republic’s officials against Iranian citizens since the 1988 Prison Massacre amount to such serious crimes. Mr. Luther offered thanks to Justice For Iran for their supportive role in researching and help in gathering testimonies, records, and other forms of evidence. The report traces a timeline through a three-decades-long record of summary trials, extrajudicial and summary executions, enforced disappearances, and mass grave burials, in 1988, to the present day when officials continue to gruesomely deny and suppress their citizens’ rights to truth and justice. Other forms of evidence analyzed in the report include leaked official records, various media and records submitted by independent researchers, and satellite images depicting the Islamic Republic’s attempts to destroy, desecrate, and conceal evidence of these mass killings. The report names the perpetrators of these crimes and explains their accountability, noting that many are still holding senior positions in the regime today. On 4 December 2018, speakers at the London press conference for the launch of “Blood-soaked secrets” stressed the severe criminality of what authorities are still doing in Iran. 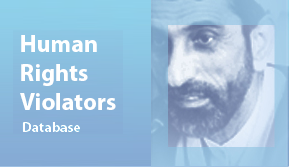 By having summarily massacred political prisoners and by continuously concealing the whereabouts of their remains and the details of their fates, in a manner both widespread and systematic, Islamic Republic officials commit crimes against humanity. The report provides recommendations to the state, including the vast dissemination of truth, DNA analysis of remains in mass graves, and various types of reparations. 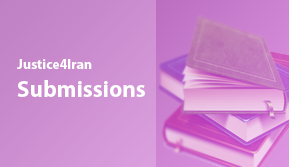 Amnesty International also recommends that UN political bodies independently investigate the massacre and urge Iran’s authorities to end their impunity and implement the report’s recommendations, bringing an end to the search for truth and justice. Click here for the full report (PDF).